Hilo and Kailua-Kona families shopping for a new SUV typically hold power, space, and safety in high regard. Based on what you know about the 2018 Nissan Rogue, do you think it has these must-have qualities? If so, take a closer look at the 2018 Honda CR-V—a five-person SUV with plenty of strengths and features to its name. We’ve matched up the 2018 Honda CR-V vs. the 2018 Nissan Rogue; read on to see where the Honda option excels! Available with front- or all-wheel drive, the 2018 Nissan Rogue features a 170-hp 2.5L 4-cylinder engine rated at 175 lb-ft of torque. Also equipped with front- or all-wheel drive, the Honda CR-V features a 2.4L 4-cylinder that’s capable of 184 hp and 180 lb-ft of torque, so expect more responsive driving dynamics on Kamuela roads. Drivers will also be able to tow up to 1,500 pounds with the Honda CR-V; the Nissan Rogue tops out at a 1,102-pound tow rating. Features: Inside the Nissan Rogue, you’ll find plenty of convenience features to streamline your drive, such as remote keyless access, an MP3 player jack, split-folding rear seats, and much more. The Honda CR-V offers all those features and more, including automatic climate control, all within a larger and more inviting cabin. Space: Passengers, particularly those in the second row, are sure to feel less cramped inside the CR-V vs. Nissan Rogue. The CR-V offers 40.4 inches of rear legroom, while the Rogue delivers only 37.9 inches. Not to mention, the CR-V offers a maximum cargo capacity of 75.8 cubic feet, while the Rogue falls behind with 70 cubic feet. Sport utility vehicles have earned a reputation for sterling safety, so drivers typically expect excellent results. The 2018 Honda CR-V and 2018 Nissan Rogue offer many of the same safety features, including a rearview camera, traction and stability control, second-row head restraints, and multiple airbags. In NHTSA crash tests, however, the 2018 Honda CR-V earned a five-star overall safety rating for 2018*. The 2018 Nissan Rogue, on the other hand, earned just four stars overall. 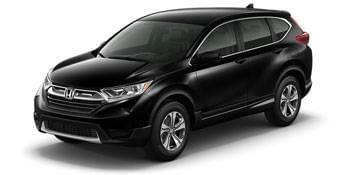 The CR-V is Waiting for You at Big Island Honda! When you compare the 2018 Honda CR-V vs. 2018 Nissan Rogue, or even the Toyota RAV4, the CR-V emerges as stronger, more spacious, and infinitely better equipped. 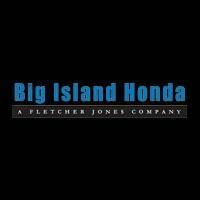 With two easily accessible locations—one in Hilo and one in Kailua-Kona—Big Island Honda is your preferred local Honda dealer! To book your test drive, contact our Hilo or Kailua-Kona location Monday through Saturday.